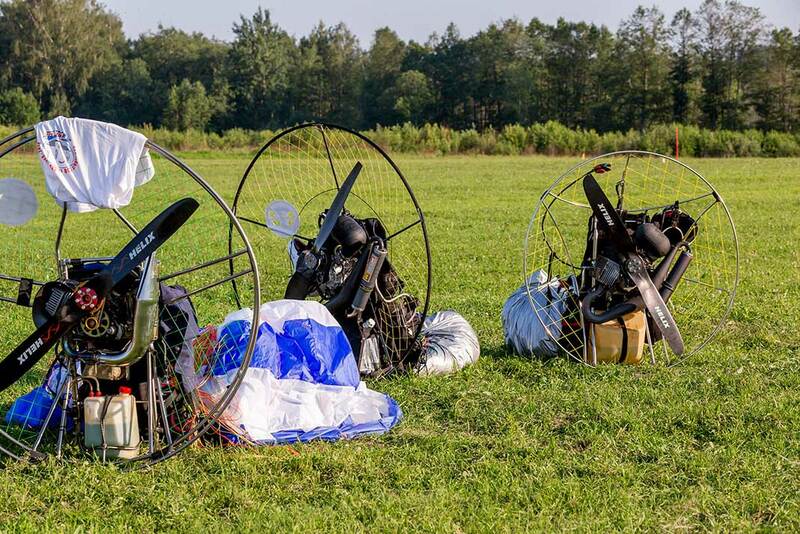 Many pilots start out with heavy powerful paramotors. 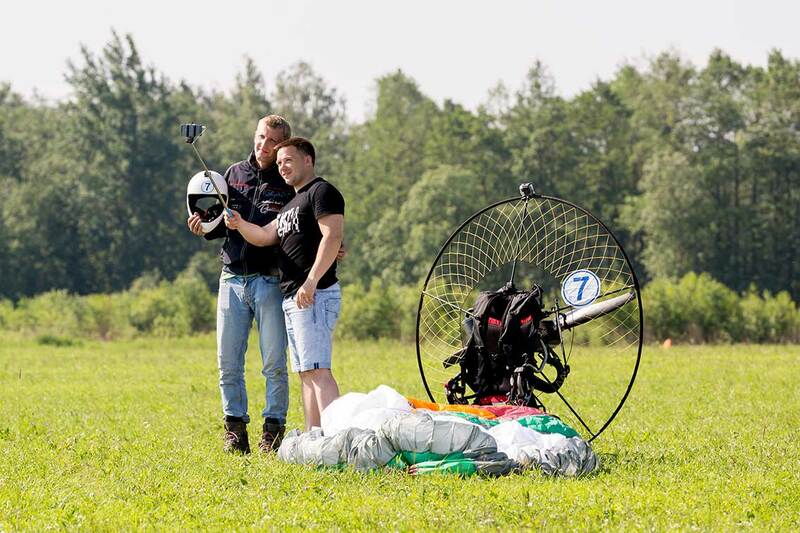 with a paramotor on the ground. 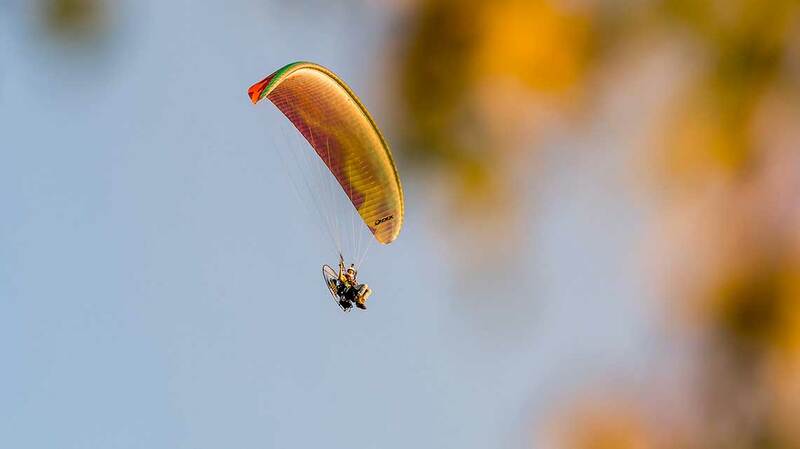 A novelty from SkyMax Paramotors - SkyMax Star+ ATOM 80!!! 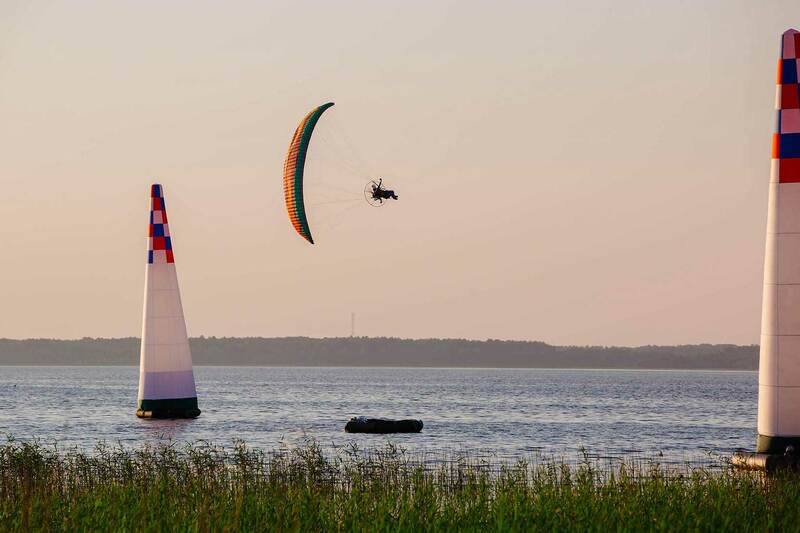 We recommend this combination for any kind of PPG except for slalom. It is perfect for light-weighted pilots up to 80 kg with qualitative 20-24 m gliders. New Vittorazi's ATOM is light-weighted reliable and safe engine. 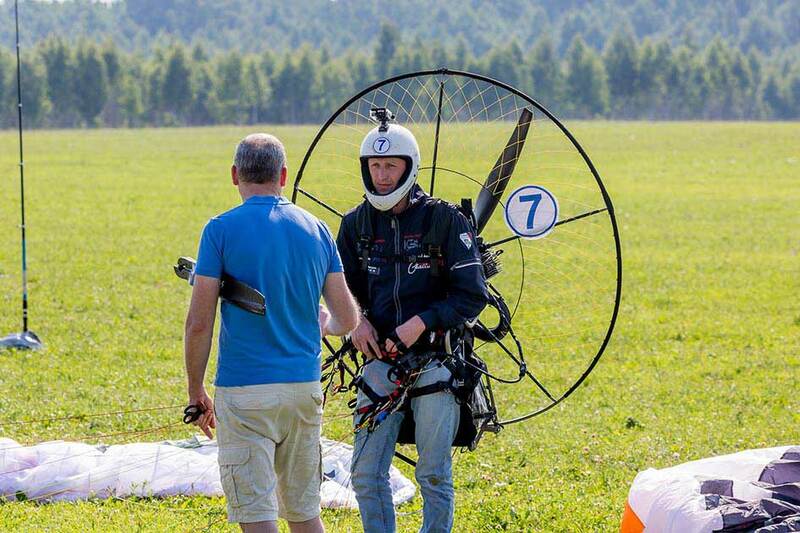 It weights only 10,5 kg and the whole SkyMax Star+ Atom paramotor weights only 19 kg!!!. It feels like a backpack behind your back when you put it on!!! With only 78 cc volume this engine still has 55 kg of thrust with 130 cm propeller (52 kg with 125 cm propeller). Atom is quiet because of the low vibration and has low fuel consumption which is important for cross-country flights. Together with the light, strong and rigid Star by SkyMax – they are a perfect match for begginners, cross-country pilots and those who prefer relaxed and simple flight. By default the Star+ATOM kit includes Skymax Star frame, SkyMax soft fuel tank for 15l, ATOM engine, propeller Helix 1,25 or 1,30, Vittorazi full throttle, harness SkyMax. 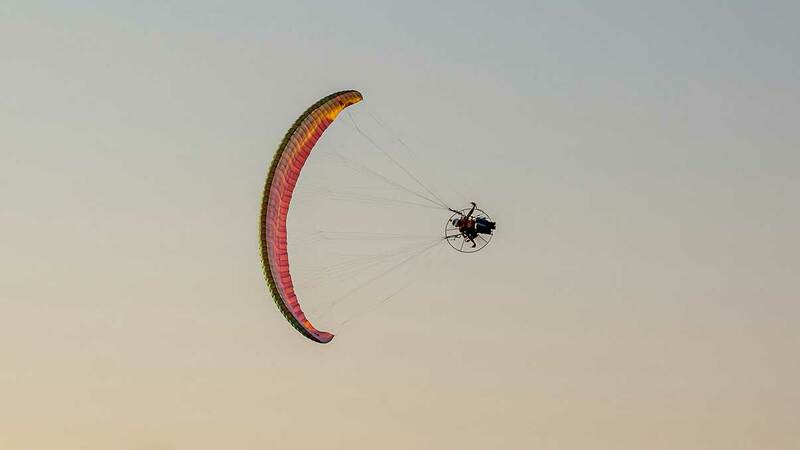 SkyMax Star +EOS Booster is a light and rigid paramotor for those who want to feel like flying paraplane. It is easy to manage on the ground and in the air and still it is powerful enough for easy launch. 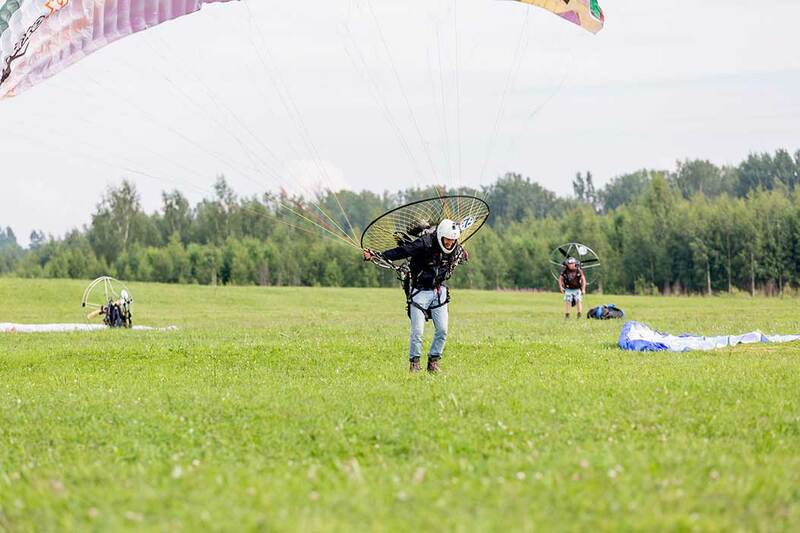 A new paramotor based on a Star frame has all advantages of it's predecessor and even more. By default the Star+ EOS Booster kit includes Skymax Star frame, SkyMax soft fuel tank for 15l, EOS Booster engine, propeller Helix, full throttle, harness SkyMax. You can choose engine, propeller and harness. Many options are available. 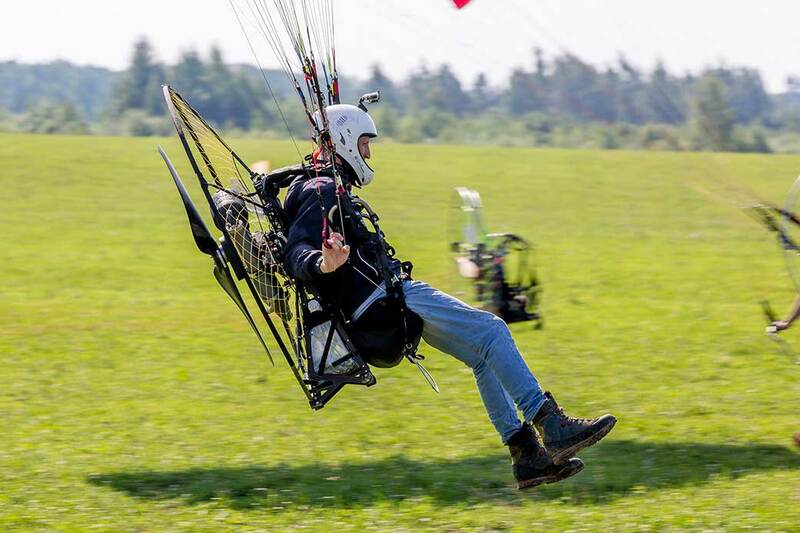 A new racing frame SkyMax Star +Polini 250 is really huge but frame weights only 6,2 kg (with a tank) and a paramotor is only 30 kg of combined weight. It has 1600 mm cage diameter and it's maximum for propeller diameter is 1500 mm. It was made for Polini 250, but itis compartible with any other engines of Polini, Moster, etc. range. 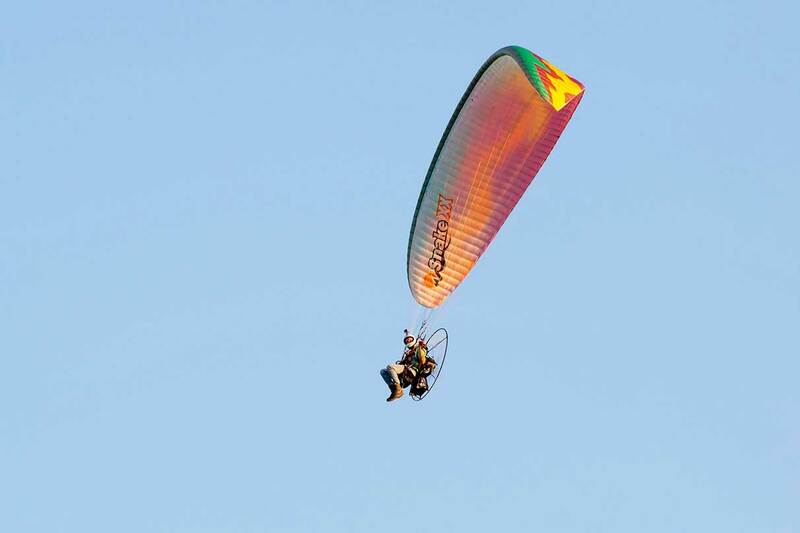 We also produce Star based paramotors of a usual size with other Polini engins. By default the Star+ Polini kit includes Skymax Star frame, SkyMax soft fuel tank for 15l, Polini engine, propeller Helix, full throttle, harness SkyMax. You can choose engine model, propeller and harness. Many options are available. PRICES CAN BE CHANGED. PLEASE REFINE CURRENT PRICE. Light and strong Star by SkyMax, it's good both for beginners and experienced pilots. It is light and has an excellent performance characteristics. Frame weight is only 4,7 kg with the fuel tank. The frame goes with SkyMax Soft Fuel Tank for 15l (incl. Polini pump, fuel system lines). Frame is customized for any engine type you need, one or more (Moster, Polini, EOS, Miniplane, Cors Air, Cisco Motors, etc.). 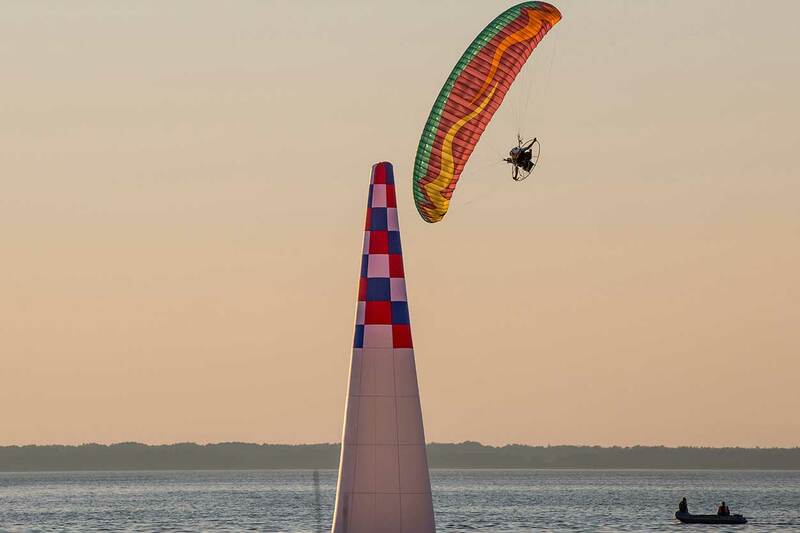 Light and strong Star by SkyMax is a new light and compact model paired with Vittorazi Moster engine (75kg of thrust) which weighs only 22kg. It is good both for beginners and experienced pilots and has a good performance characteristics. 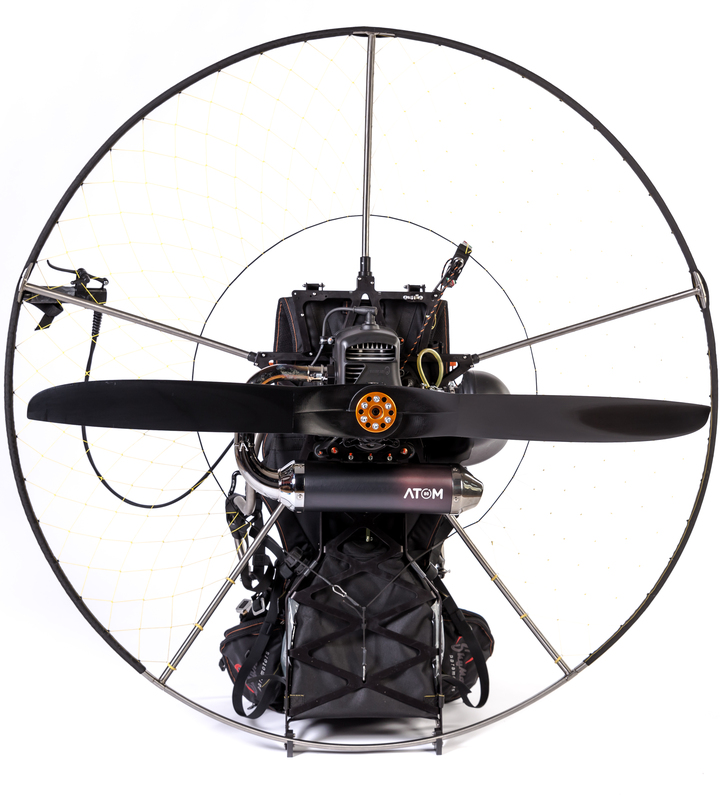 Vittorazi engines are well known as light and trouble-free paramotor engines and the Star frame is one of the lightest in it's class, safe and durable. Combined together - they are a perfect match. By default the Star+Moster kit includes Skymax Star frame, SkyMax soft fuel tank for 15l, Moster engine, propeller Helix 1,25 or 1,30, Vittorazi full throttle, harness SkyMax. Take to the skies with SkyMax! SkyMax Paramotors manufacturing facility is situated in «Kirov Plant» – one of the biggest steel manufacturing factories in Russia. 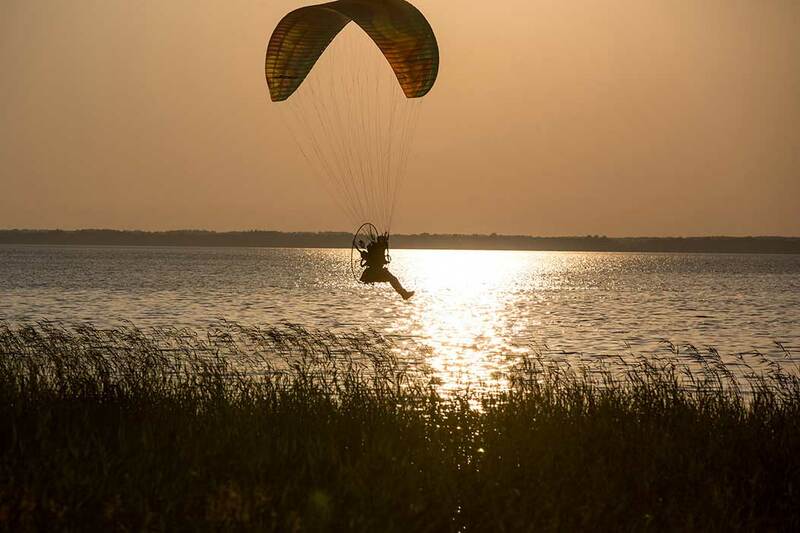 SkyMax paramotors are made on the same hi-tech equipment that is used to manufacture equipment for atomic, aerospace and oil industries, designed by engineers with decades of experience. 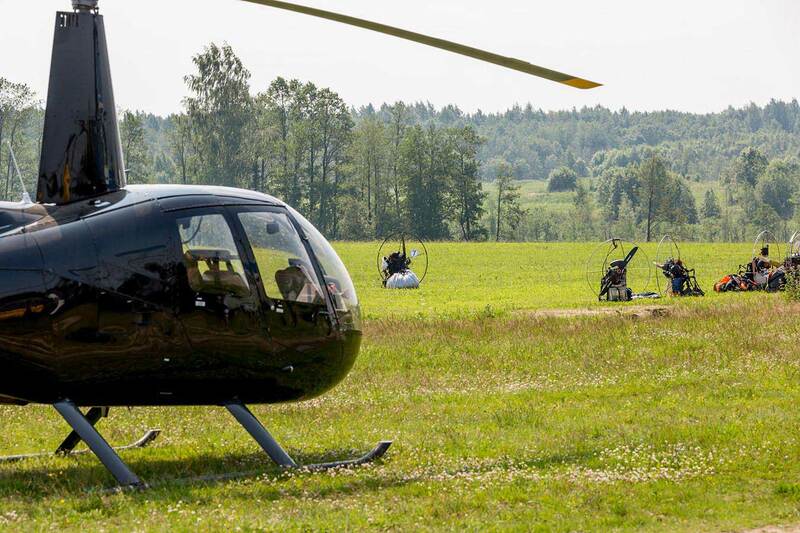 Every frame and engine is assembled, checked and and tested by experienced pilots. 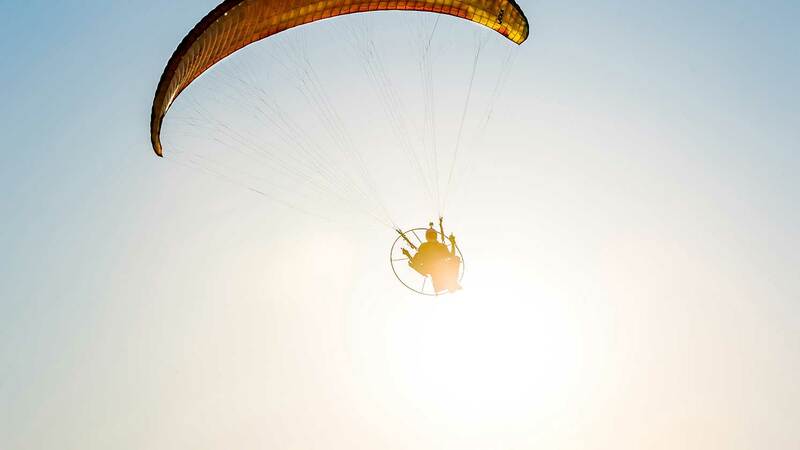 Many pilots start out with heavy paramotors, but pilots eventually realize that light is king. 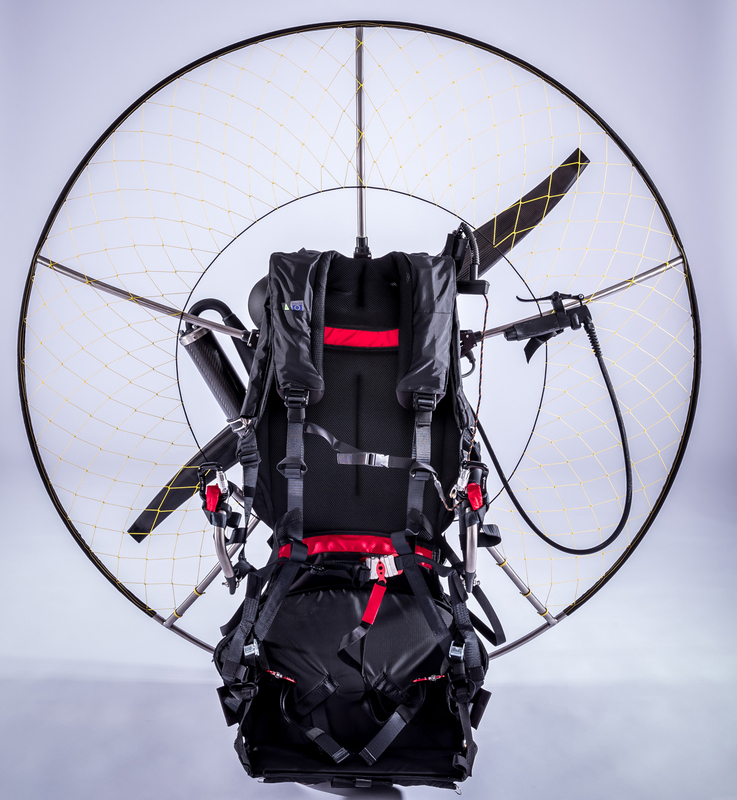 For foot launching, the lighter the paramotor, the easier it will be to stand up, launch, and everything else you have to do with a paramotor on the ground. Anodized aluminum frame started as prototype, during development we changed the type of aluminum and design to improve weight, ease of assembly in the field and rigidity, we are now able to make frame customizable and basically we can put any engine on the frame. 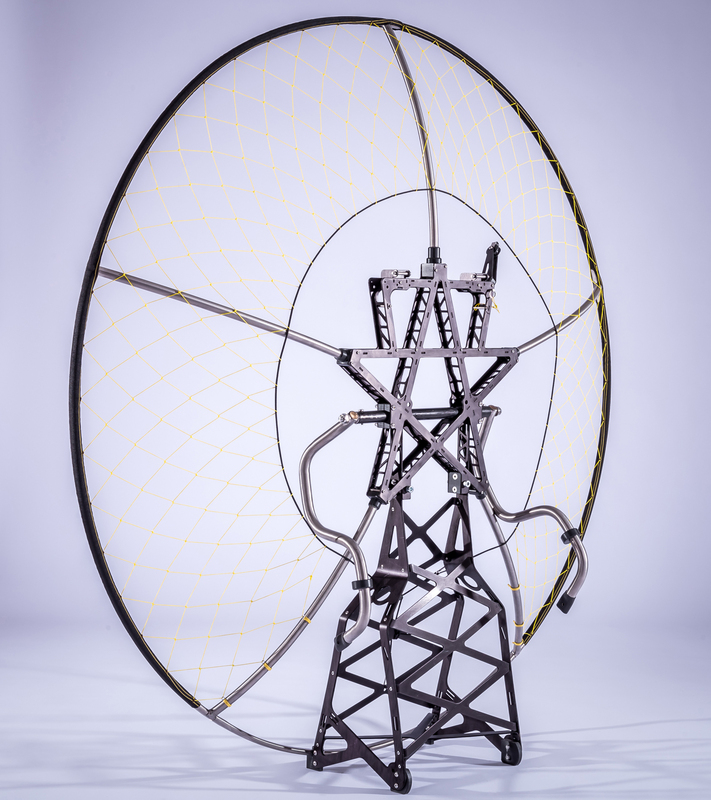 Cage hoop and the s-bars are made of titanium – rigid, light and easy to assemble. Beams and struts are made of carbon fiber and we chose this material not only because of weight and rigidity, but because of practicality(in case of unlikely event of breaking of one of the beams it is easy to swap/replace them in the field). Mesh material – hand woven dyneema. All of the connectors serve double purpose for ease of assembly and weight reduction. SkyMax Fuel tank – It is a soft tank weighting 0.45kg(1lb)(comes with Polini fuel pump, fuel system lining for you ease). Assembly weight 18kg/39lb with EOS Booster(60kg/ 132lb of thrust) and 21kg/46,3lb when paring with Moster 185(75kg/165lb of thrust). Harness SkyMax weighing only 2kg/4,4lb. Frame weight 4kg/8,8lb, Frame weight with fuel system 4,5kg/9,9lb. A simple and fast control. You don't have any experience or affinity with the motors? Don’t worry, follow step by step what we tell you in this chapter. When you receive the motor, it has already been tested for 15 minutes in the factory’s test-bench, verifying the operation, the assembling and the optimal carburetor setting. These regulations guarantee a perfect stability of the motor, the operating temperature and the correct lubrication to every organs of the motor.